Posted on 3rd April 2019 at 12:12 pm. Darren Kuppan and Robert Pickavance. This Easter, head out on a voyage like no other as Leeds Playhouse takes you Around the World in 80 Days. 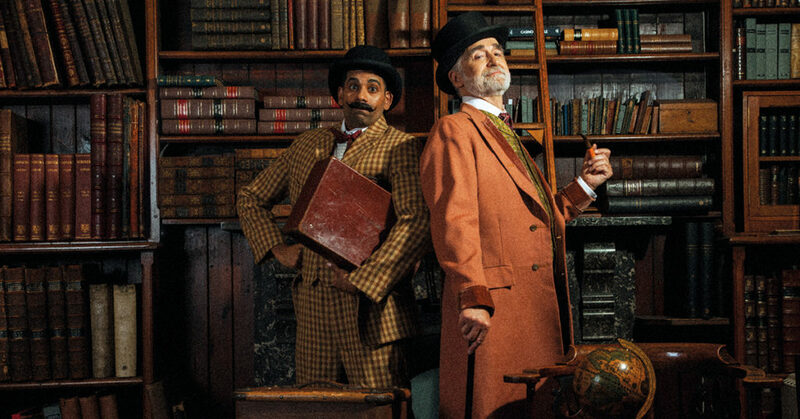 Get your passports ready and your suitcases packed for this globetrotting escapade, a stage adaption of Jules Verne’s novel Around the World in 80 Days. Prepare to be transported back to the 19th century as the legendary Philieas Fogg embarks on a stupendous journey across four continents. Of course, things don’t go to plan and Fogg finds himself in the middle of many manic situations along the way. This production boasts a show packed full of surprises, laughter, props and high jinks. Sounds pretty great, right? Well if you want to get into the full swing of the action, head over to our Facebook, Linkedin, or Twitter for the chance to win a pair of tickets! This stage adaption will be directed by Leeds Playhouse’s award-winning Director of Creative Engagement Alex Ferris (Searching for the Heart of Leeds, Leeds Playhouse; Rise, The Old Vic). It will also feature new original music by award-winning musician Dom Coyote (We Can Time Travel, Shoreditch Town Hall; The Tin Drum, Kneehigh with Leeds Playhouse and Liverpool Everyman & Playhouse). It will be designed by award-winning designer Amanda Stoodley (Europe, Leeds Playhouse; Queen Margaret, Royal Exchange Theatre). 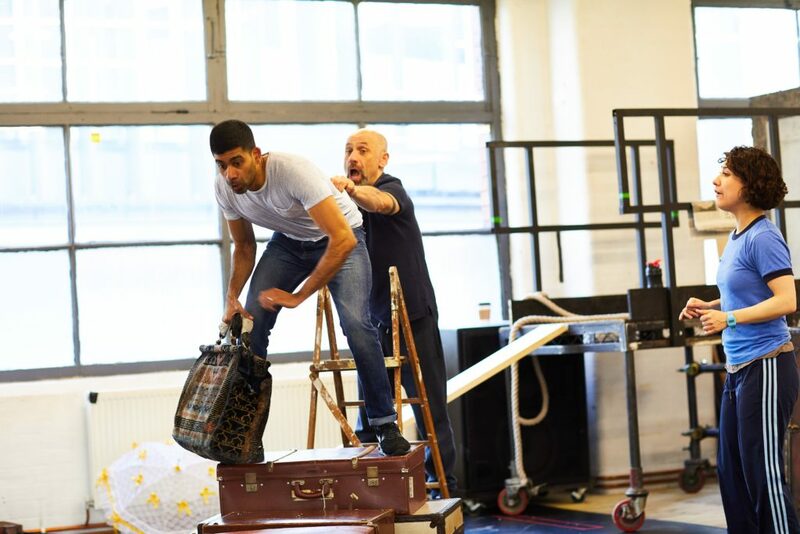 Following its run at Leeds Playhouse, the production will tour eight community partner areas within the Leeds City Region. This will make the fifth year Leeds Playhouse has worked within these specific community partner areas, sharing productions and delivering workshops in community settings. See Around the World in 80 Days at Leeds Playhouse’s Pop-Up theatre, in association with SOYO Leeds, from 9 – 28 April. When entering this competition, entrants confirm that they have read and agree to be bound by the terms and conditions and guidelines stated below. The Promoter of this prize draw is SOYO Leeds. The Promoter is offering entrants of this promotion a chance to win 2 x tickets to a performance of Around The World in 80 Days at Leeds Playhouse. To qualify entry for this prize draw, entrants must tag 1+ person in the comments section on the competition post on Facebook, tag 1+ person in the comments section on the competition post on Linkedin, RT (retweet and tag in 1+ person) on Twitter. Entrants must be UK residents. This promotion is not open to any employees of the Promoter or any of their affiliate companies, their families, agents or anyone else connected with this prize draw. One entry is permitted per person. Late, misdirected, incomplete or illegible, entries will not be accepted. This promotion is open to entries from 11.00 on 3rd April until 23.59 on 8th April 2019. There is one prize to be won. The prize is non-transferable, non-refundable and non-exchangeable and there is no cash alternative offered. The Promoter reserves the right to offer an alternative prize of greater or equal value. In the event of circumstances outside the promoters reasonable control, the Promoter reserves the right to temporarily or permanently, discontinue or modify this promotion without prior notice. The winner will be selected from all valid entries received during the promotional period, winner will be selected using a computer process that produces a random result and announced on the 9th April 2019. Each winner will be notified within two working days of the draw via Facebook direct message or Twitter direct message to the account from which the entry was made and will be asked to provide their full name, address and relevant contact details. If a winner fails to respond within 1 working day of this notification, a redraw will take place from the remaining valid entries to select a new winner. If any winner declines a prize or fails to respond within the required period, they forfeit any right to the prize. The prize is to be collected at the Leeds Playhouse Box Office before the chosen performance on the 11th April. Winners may be required to submit valid identification before receiving their prize, once selected, the date of performance cannot be changed. The Promoter does not accept responsibility lost, misdirected or delayed entries. It also does not accept responsibility for software failures, network or computer issues. The Promoter reserves the right to remove any inappropriate or offensive entries and disqualify any entries if the Promoter, at its sole discretion, believes that there has been an attempt to manipulate or tamper with the operation of the promotion (including, without limitation, by setting up multiple Twitter, Facebook or other social media accounts in order to submit multiple entries). You agree to be bound by the decisions of the Promoter, which are final in all matters relating to the promotion.